Size: approx. 55 mm. Photo: 09/25/17, 9 pm. 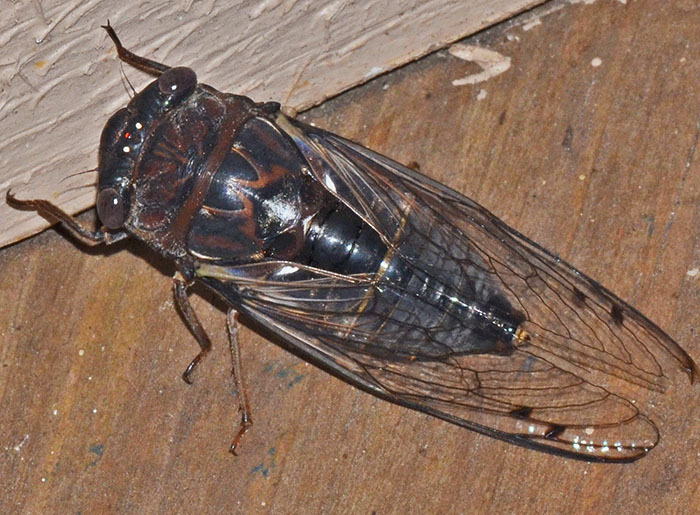 I found two of these late-season cicadas on my porch buzzing away and flying against the wall. They are deep reddish-brown or rust-colored with the typical black pattern found on most Tibicen representatives. The second link contains a sound file.